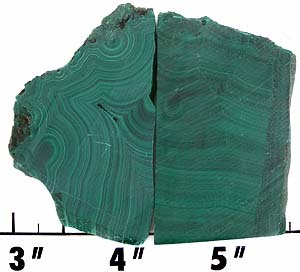 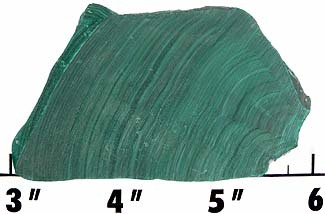 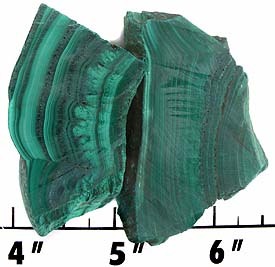 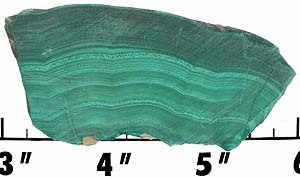 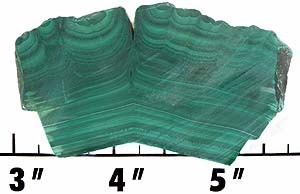 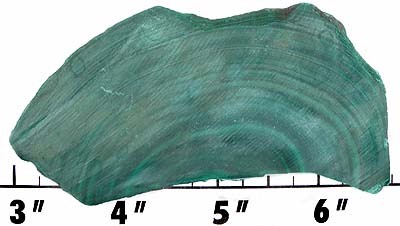 Malachite is a well known material and one of the most popular copper secondary for lapidaries and jewelers alike. 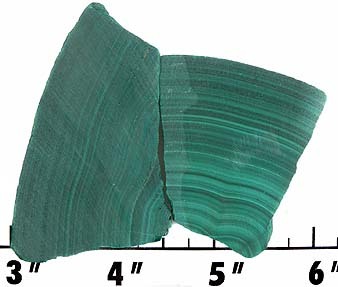 Note: when cutting malachite, use water as a coolant on your wheels to remove airborne dust. 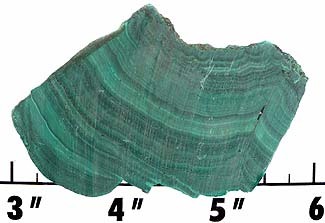 Care should be taken to wash hands before eating and to keep from breathing cutting dust, because it contains arsenic. 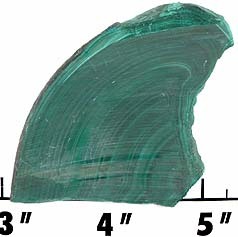 Reasonable precautions will keep one safe. 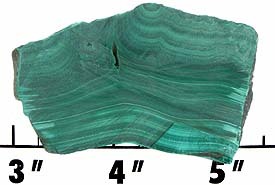 Malachite polishes well with tin oxide, Zam (green rouge) and diamond. 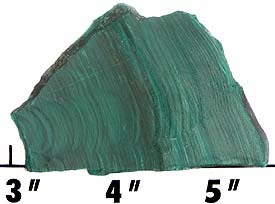 Mohs hardness is 3.5 to 4. 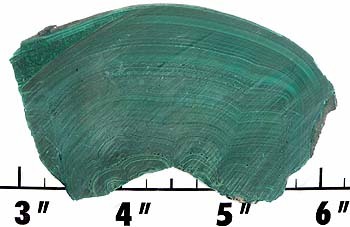 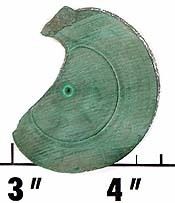 Measures approximately 1/4 to 3/16" thick. 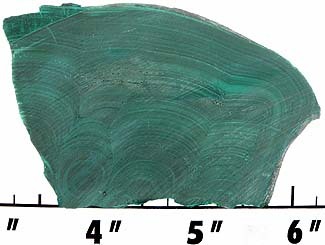 1 at 3/8 to 1/8" thick (END CUT). 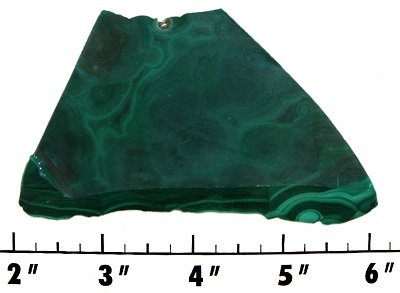 Measures approximately 1/4 to 7/32" thick. 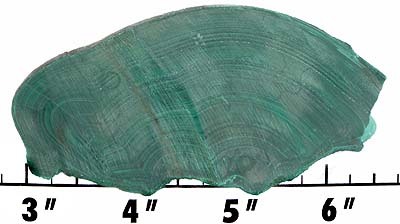 Measures approximately 7/32 to 3/16" thick.